Research is considered the fulcrum for academic institutions. In order to attain the vision and mission of our University, we offer a research programmes in various faculties and conduct National and International Conferences / Seminars during every academic session. University is organising Seminars/ Workshops / Conferences of National or International level in its campus from time to time to enhance the research facilities. 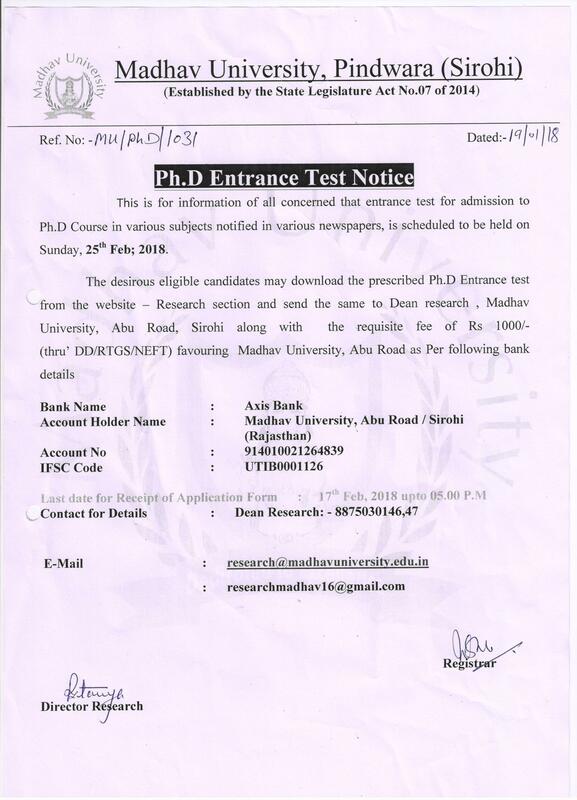 Madhav University is taking constant efforts to organise research events and appoint renowned persons to share their views with the students and faculty members of the University.